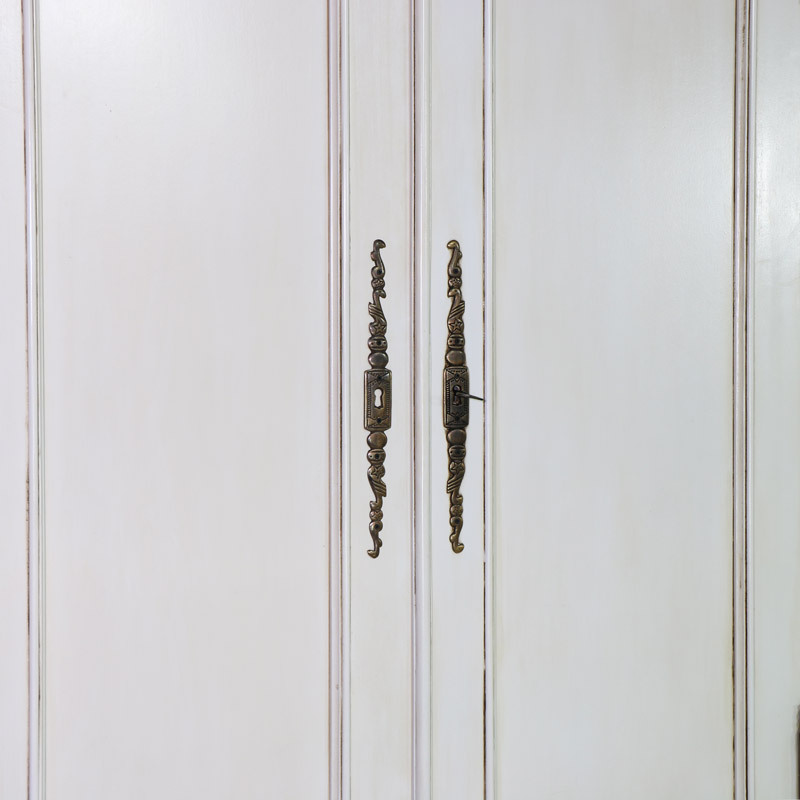 Large double armoire style wardrobe in cream. 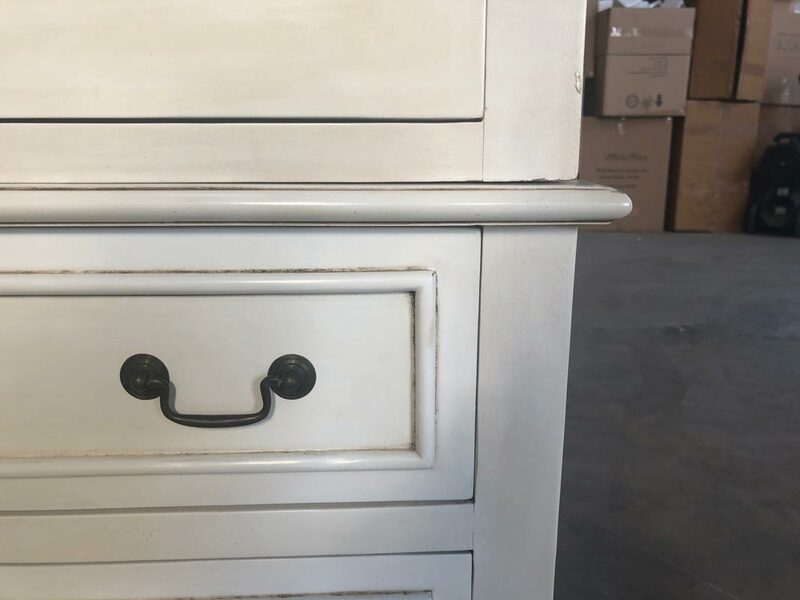 Classic vintage French design with hanging rail and drawer storage. 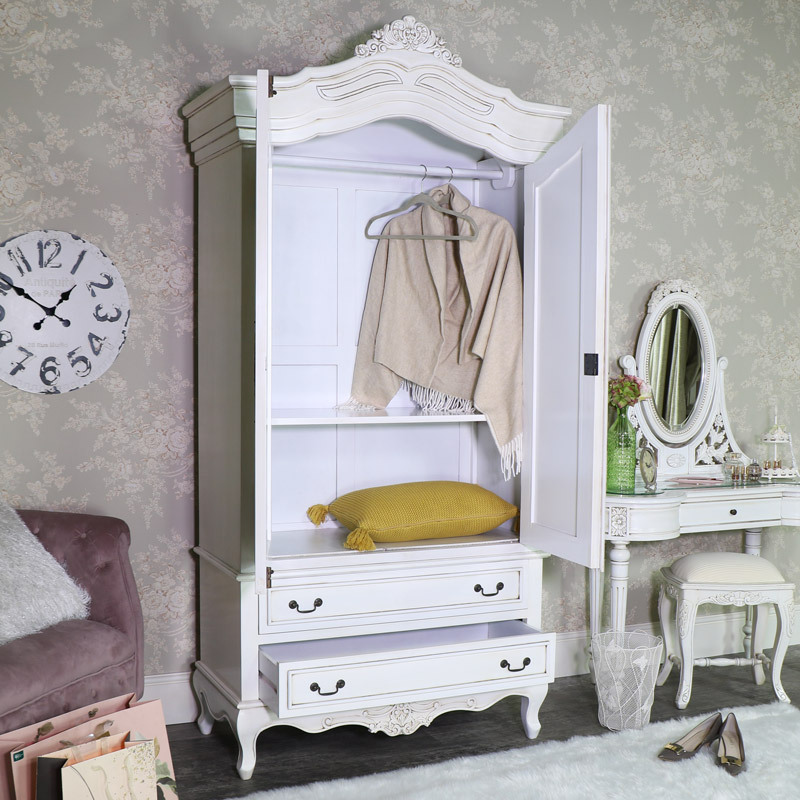 Shabby chic stye with matching dressing table available. Offering excellent clothing storage, the double design comes with plenty of hanging space and extra drawer space. 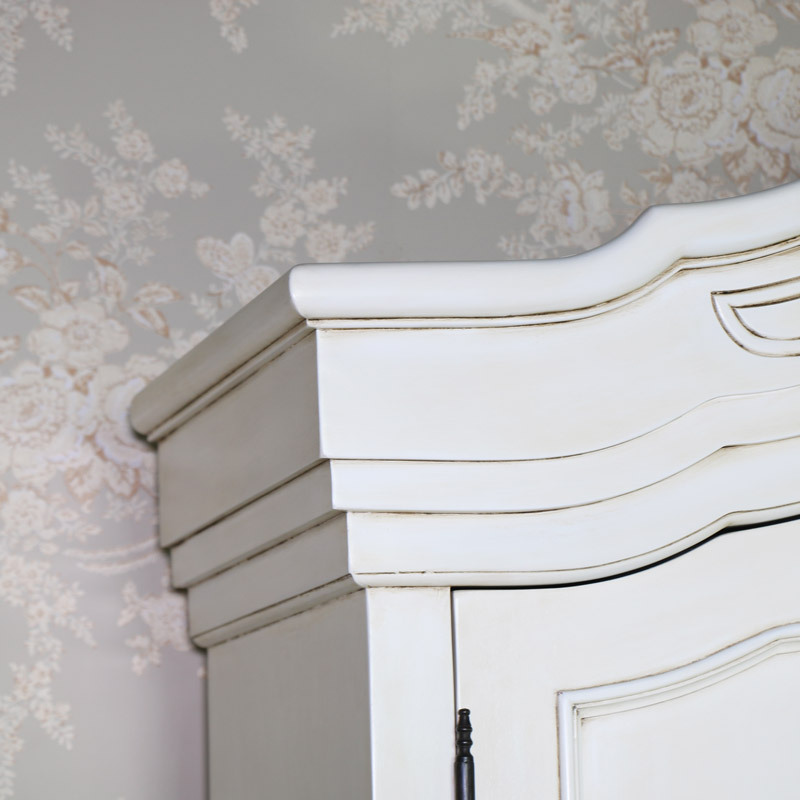 The Limoges Ranges comes with a mathcing dressing table in classic vintage style. With several removeable shelves and a hanging rail to allow use as a full linen closet, or a mix of hanging and shelved spaces. 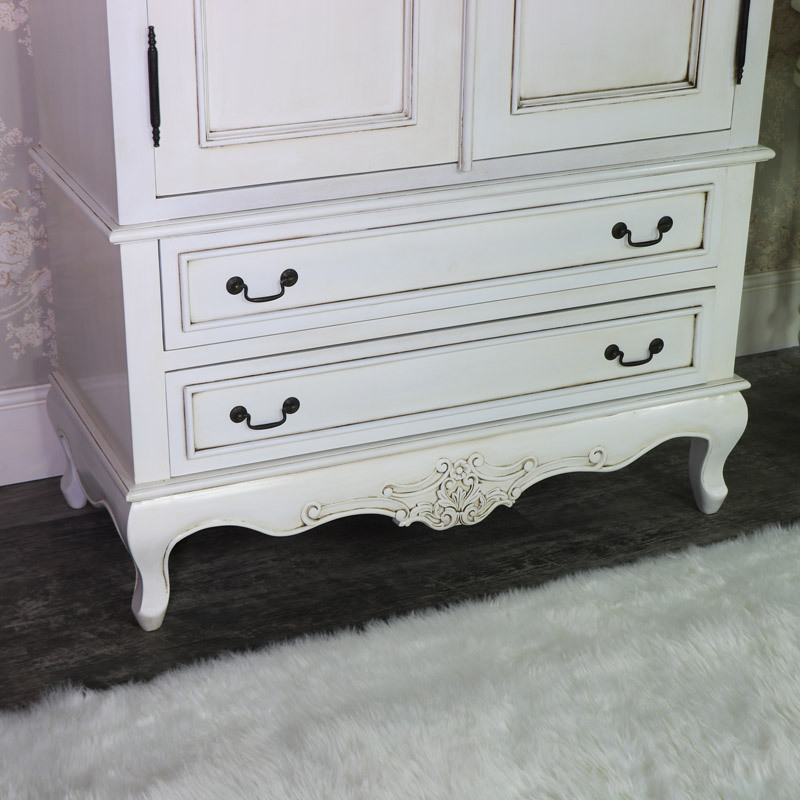 Stunning French elegance with ornate carved detailing that gives a real vintage chateau feel. 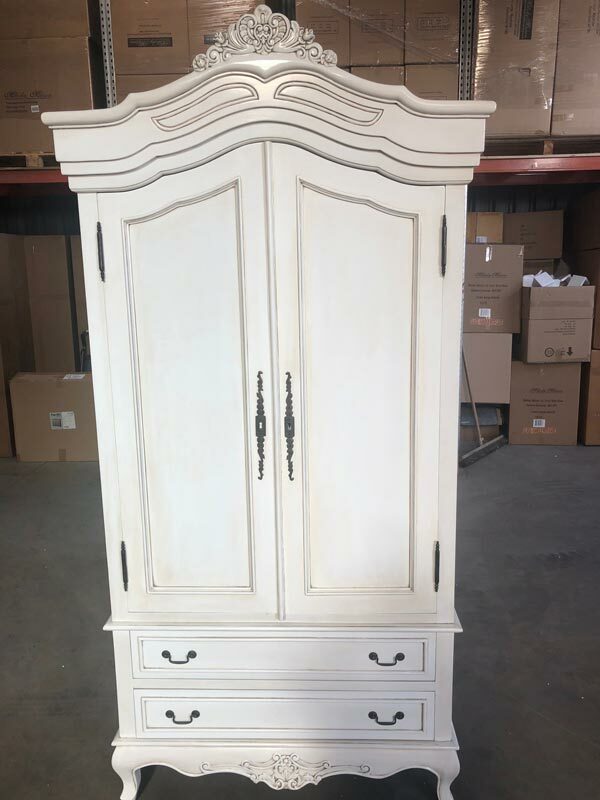 Large double armoire style wardrobe in cream. Classic vintage French design with hanging rail and drawer storage. 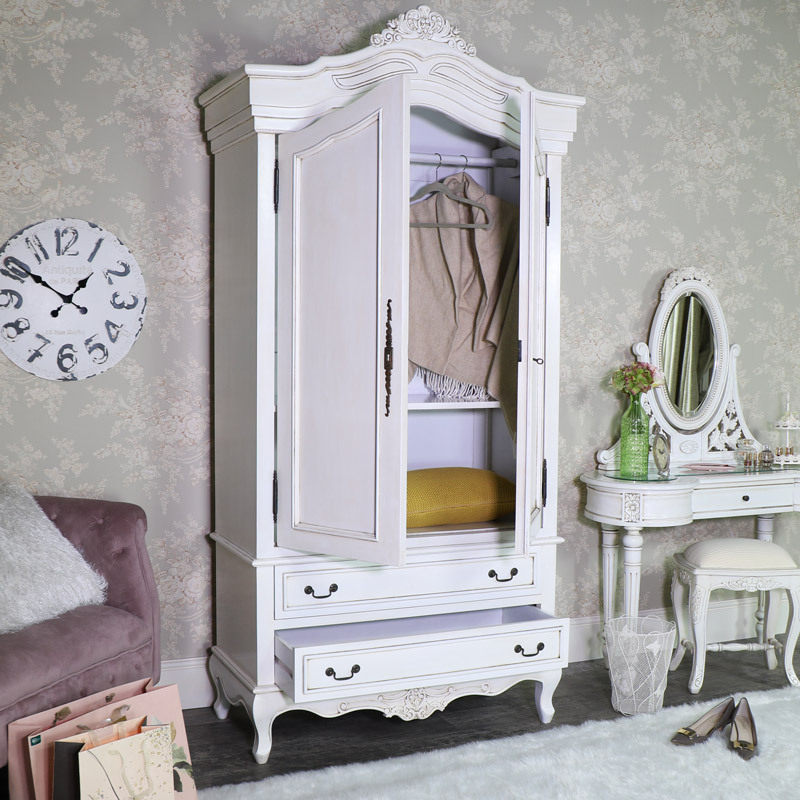 Shabby chic stye with matching dressing table available. Offering excellent clothing storage, the double design comes with plenty of hanging space and extra drawer space. 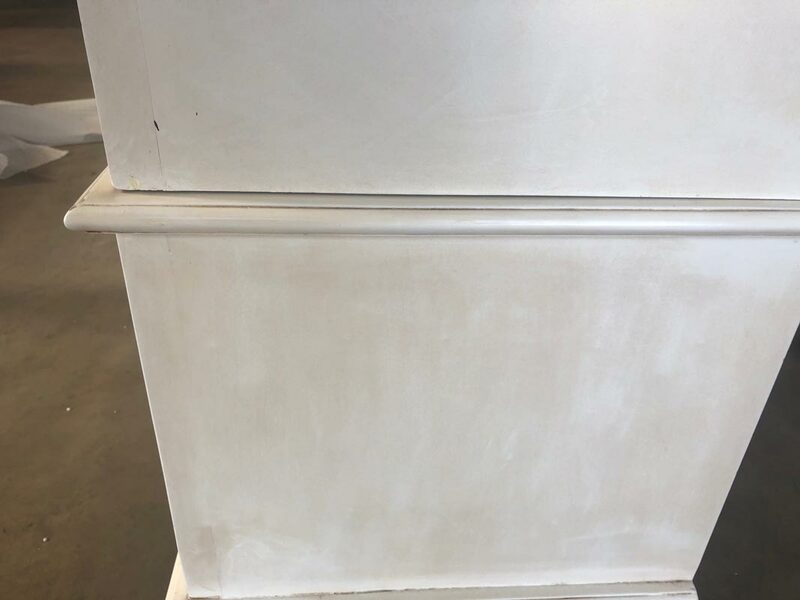 The Limoges Ranges comes with a mathcing dressing table in classic vintage style. With several removeable shelves and a hanging rail to allow use as a full linen closet, or a mix of hanging and shelved spaces. 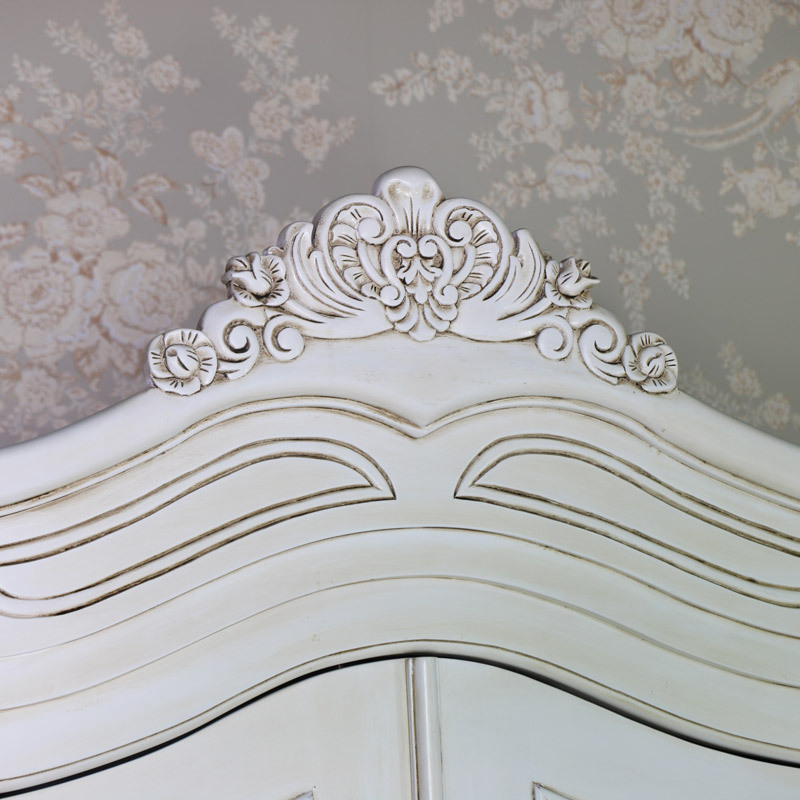 Stunning French elegance with ornate carved detailing that gives a real vintage chateau feel. 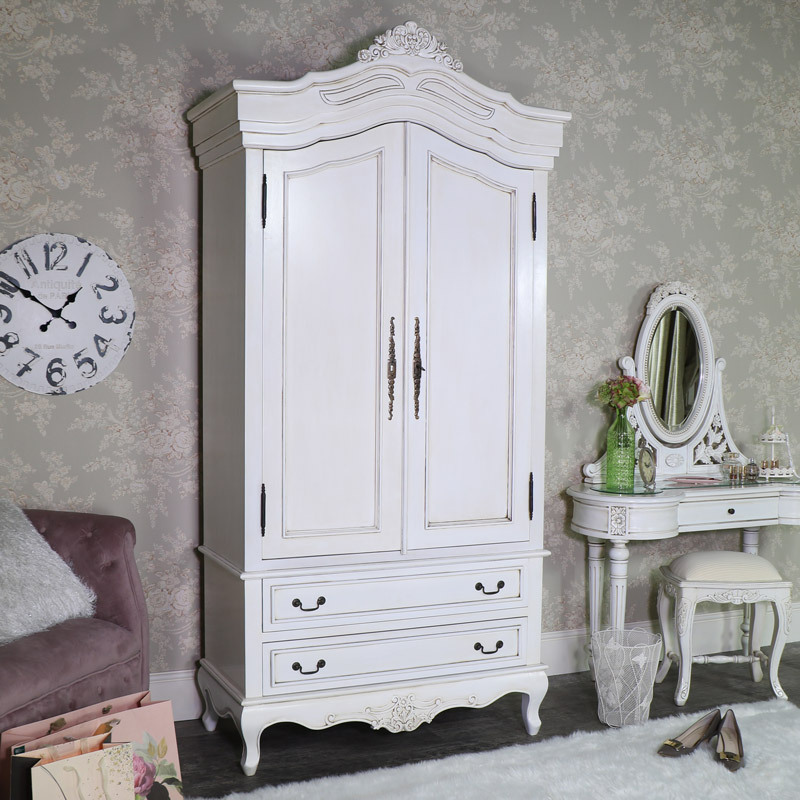 The wardrobe is made from a sturdy mahogany wood and painted in an ivory-cream colour with an antiquing effect to give the appearance of age. The wardrobe comes in 2 parts so will require assembling, with the top wardrobe compartment sitting on the drawer base. The wardrobe weight is quite substantial at 51kg.